Choosing the service that's right for you and your goose removal needs. A handler and trained dog will visit your property and patrol for any birds that may be present. Once the birds are located, the dog is sent out after them (also know as "hazing"). The birds, believing the dog to be a natural predator, fly off in search of a safer habitat. This process is repeated multiple times per day over the course of several months, depending on the specific requirements of the property and the extent of the infestation. One of our specialists will meet with you and discuss a vast number of topics related to goose control: the habits and behaviors of Canada geese and how they relate to your property, advice on landscaping and water access points, help informing customers and employees what they can do to help control goose numbers while staying safe, respecting the natural beauty and functionality of your property while ensuring bird flocks are safely and humanely removed. Some clients may find the most effective means of ridding their property of Canada geese is the purchase of a trained goose dog. We can find and train the right dog to suit a wide range of needs. Golf courses and resort properties as well municipal and commercial sites may find it more economical to own and operate a goose dog themselves. We offer services to train new handlers and all of our dogs are guaranteed to work. 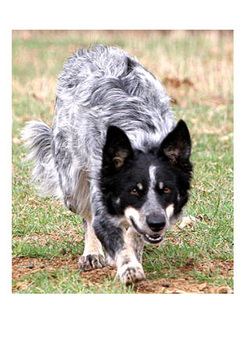 If you currently own a working Border Collie that is in need a "refresher course," we would be happy to help with that as well. Our facility is equipped with multiple training sites and our expert trainers have been working with Border Collies for over 30 years. We can evaluate your dog's current aptitude for goose work and work with you and your dog to create an effective goose removal team.